omid (mashhad, Iran) on 6 November 2013 in Abstract & Conceptual and Portfolio. I am too busy a few days. Thank you for visiting & comments. Surface tension clearly at work. Beautiful composition et clarté !!! This is beautiful Omid, well done! Splendide, l'eau semble être devenue solide. Bonne journée. kheili jaleb waq zibast omid jan .
Beautiful, beautiful !! Nice fine detail in this Autumn image !! Wonderful !! Absolutely beautiful photo, I love it! An absolutely wonderful image ... sharpness, details and colors are magnificent !!! Very nice shot! Beautiful contrast and colors! Quelle fueille sur l'eau quelle compo et vue splendide. Love the silence in it, Omid! 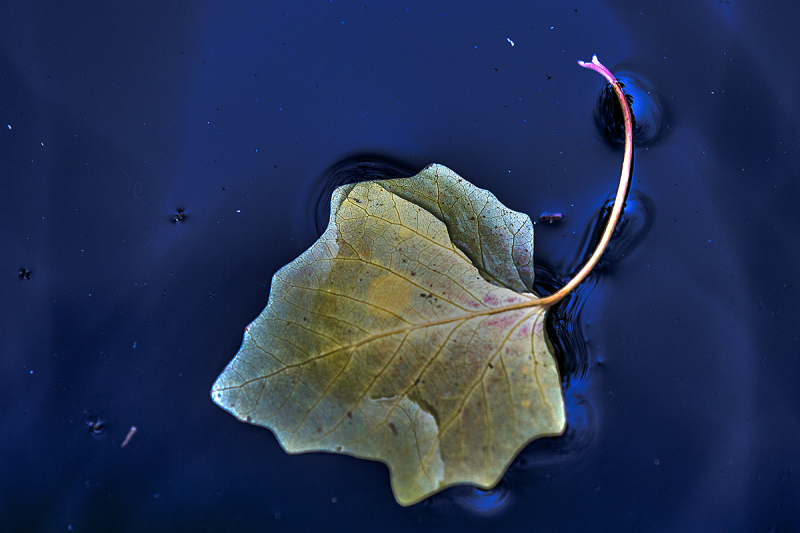 Love this simple fall leaf floating in the cosmos. Simple and beautiful and I like the title!